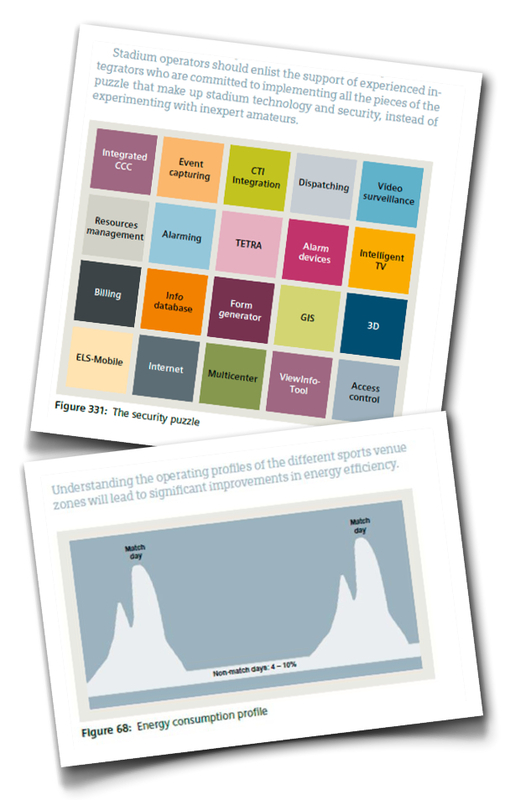 How can arena operators utilise the new technologies available to them in the most practical, economical and quickest way possible? TheStadiumBusiness Summit 2014’s respected sponsor, Siemens, will be launching a new reference book for the industry entitled ‘Arenas for the Future’, which explains complex technologies in a comprehensible way. ‘Arenas for the Future’ will support managers and technical experts when an arena is to be planned, when parts of a stadium or technological solutions shall be renewed or when existing technology has to be brought up to date. This book answers questions to issues that typically arise during the planning process and how to avoid high additional costs. Investors, club managers, facility managers and city planners get a comprehensive view of how modern technologies help to create smart solutions for stadiums and their environment, making the arena a sustainable investment in the long term. Engineers, planners and architects are provided with a wealth of information and technical details from all disciplines of stadium technology. The book also describes how intelligent interaction of state of the art technologies can help to master the extreme situations of days with and without event or match in an economically reasonable and sustainable way – thus saving a lot of money in the medium and long term. It helps to translate the demands by FIFA and others into practical solutions and to create a pleasant place for fans and their communities. The solutions described in the book have been implemented in approximately 150 stadiums worldwide during recent years. Siemens will host a VIP invite-only book launch for its “Arenas for the Future” publication at this year’s TheStadiumBusiness Summit 2014 on June 5th @ the Hilton London Wembley. Discover key insight from Siemens and other experts from the industry, only at TheStadiumBusiness Summit 2014! Email us.